CAPE TOWN, South Africa (CNS) — As the most respected institution in Congo, the Catholic bishops’ conference is putting enormous effort into steering the country onto a path to peace, said an official of the U.S. Conference of Catholic Bishops. “We have flown into the eye of the storm, with the future of this young democracy in the balance,” Bishop Oscar Cantu of Las Cruces, New Mexico, chairman of the bishops’ Committee on International Justice and Peace, said in an Oct. 15 telephone interview from Kinshasa, Congo’s capital. Elections in the Central African country were scheduled for November and President Joseph Kabila was set to step down in December at the end of his second term. But Congo’s ruling coalition and part of the opposition agreed Oct. 16 to move the ballot to April 2018, with the president staying in power at least until then. Bishop Cantu and Stephen Hilbert, the bishops’ foreign policy adviser for Africa and global development, were in Congo’s capital, Kinshasa, Oct. 8-16 and met with government officials, opposition and civil society leaders, among others. “We witnessed some parties who were very adamant in their stance,” Bishop Cantu said. “They were unwilling to compromise, even to meet with others” from different standpoints. Hilbert told Catholic News Service that Congo’s politicians “need to come together, bury the hatchet of past grievances and focus solely on the future.” He said all sides need to compromise if the country is to avoid street violence. The main opposition parties in Congo accuse Kabila of controlling the courts and other state institutions in a bid to remain in power. The constitution prohibits him from running for another term. 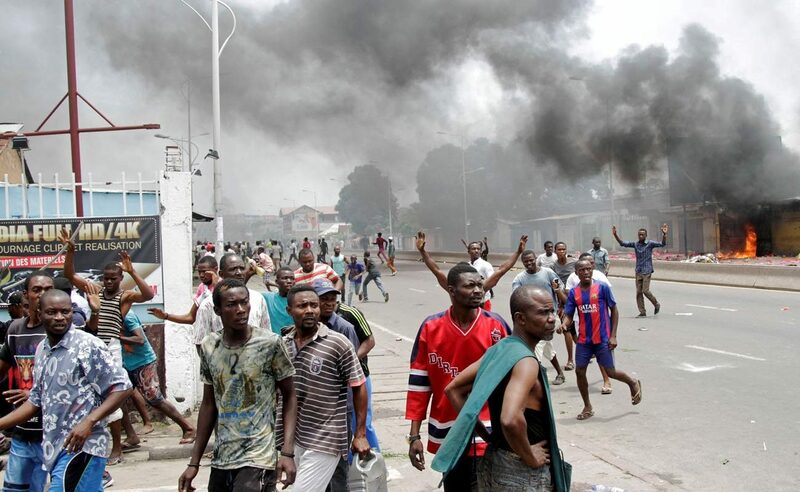 The crisis erupted into violence in September, when security forces dispersed opposition protesters in Kinshasa, killing about 50 people and injuring and arresting hundreds more. The church is “very concerned that violence will break out again,” Bishop Cantu said. The Congolese bishops’ conference launched a mediation plan among the main parties and the opposition in August, then pulled out of the national dialogue in late September following a large-scale boycott by opposition parties. “The talks were no longer inclusive and the church did not want to be seen as partisan,” Bishop Cantu said. “Only an inclusive dialogue which respects the constitutional order will provide a framework for resolving our crisis,” Archbishop Marcel Utembi Tapa of Kisangani, president of the Congolese bishops’ conference, said in a statement published Oct. 3. Bishop Cantu said to lend legitimacy to the electoral process, six bishops are leading a recruitment drive to get hundreds of thousands of people to volunteer as election monitors. The local bishops’ conference is “encouraging participation in the political process and a peaceful way to work out differences,” he said. Up to 6 million people died in a series of 1995-2003 wars in Congo, formerly Zaire, where armed groups have exploited a lack of stable government to plunder natural resources.